To mention the name Sweden brings forth images of snow-capped peaks with the 24-hour daylight of the midnight sun. Sweden is many things; for one it is a haven for the outdoor-enthusiast. The natural beauty is breath-taking. Also the air, water and forests are sparkling-clean. With the rich history of the Swedes and the influence of the Viking’s culture, you wont be bored during your visit there. Back in 1628 the warship Vasa sunk on its maiden voyage. For the next three-hundred years, the Vasa was underwater. In 1961 a salvage effort was launched to recover the ship. Now travelers from all over the world come to see this fascinating attraction in the Vasa Museum. With ten separate exhibitions on display, a trip to this museum is a day long outing. Known as one of Sweden’s greatest feats of engineering, the Gota Canal is one of the countries popular attractions. From Stockholm in the northeast, to Gothenburg, in the southwest, Gota connects with the lakes Vänern & Vättern and the Trollhätte Canal, to form a coast to coast waterway. If a cruise into the heartland of Sweden interest you, there is a choice of a passenger vessels or you can hire a boat to see the canal at your own pace. The Royal Djurgarden is a national city park in the heart of Stockholm. It is a mixture of parkland, forest with canals. Djurgarden is also home to some of the main museums including the Vasa, Skansen, and the Swedish Music Hall of Fame. With 20 plus museums and a amusement park, this is a must see attraction for the museum-enthusiast or the casual thrill-seeker. Old Town (Gamla Stan) is Stockholm’s old city center. It consist of Stadsholmen island and the islets of Helgeandsholmen Riddarholmen and Strömsborg. Stockholm’s Old Town dates from the 13th century; however most buildings are dated from the 1700’s thru the 1800’s. For the visitor, there is an array of bars, cafes and restaurants. 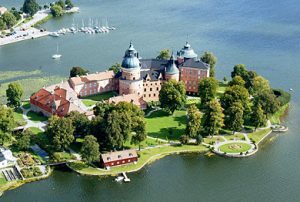 From there you can take a short walk to the island’s most popular attraction, the 18th-century Palace of Kungliga Slottet. From here you can tour the baroque castle; if you time your visit correctly, you will see the daily noontime changing of the Guard. Gamla Stan is an interesting maze of alleyways, cobbled streets, houses and meeting squares; modeled after north German architecture style, it is one of Europe’s best preserved medieval centers. Lund Cathedral is the most popular and most visited cathedral in Sweden. Located in the Provence of Skåne, this church was founded in 1080 by the Danish King Canute IV. With its magnificent towers this is one of the finest Romanesque church in the country. The current building dates back to the 12th century; also there is a magnificent carved reredos, completed by a German master back in the 14th century. 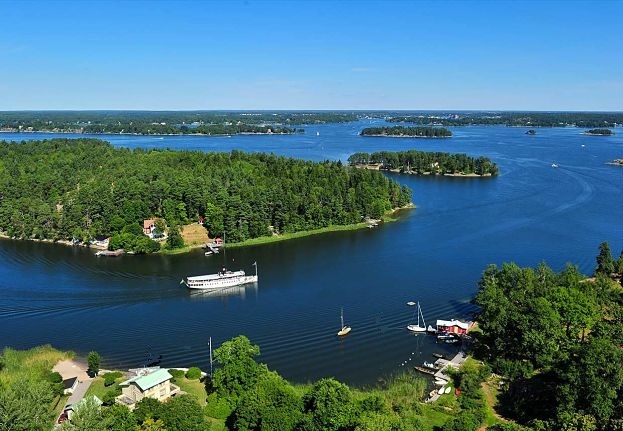 The Stockholm Archipelagos is sometimes referred to as the Venice of Northern Europe. 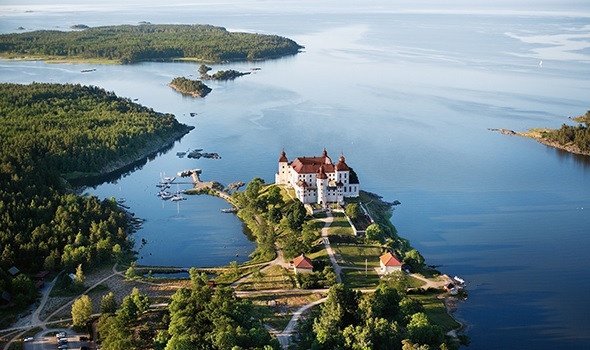 Located eighty kilometers east of Stockholm, the archipelagos are roughly 30,000 islands. On some islands you will see red and yellow wooden summerhouses, while other islands remain unchanged. Depending on the time of the year, some popular activities include: boating, hiking, swimming, fishing and kayaking. When visiting Sweden, a trip on the water in and around the city should be at the top of your list. Some tour companies offer a package that may include lunch or dinner; but they all include priceless memories. The Swedish Air Force Museum is located 200 kilometers south of Stockholm in the city of Linköping. It first opened in 1984 and is financed by the Swedish government. Since opening the museum has been enlarged twice, once in 1989 and later in 2010. The collection of artifacts had its beginning back in the 1940s with two Air Force senior officers. Today the Swedish Air Force Museum collection includes roughly 100,000 objects; some items include various stored, lent and flying aircraft; Other items on display include all things connected with the Air Force including uniforms, textile and medical gear. One of the main attractions is the wreck of the Air Force’s DC-3 that was shot down over the Baltic Sea by Soviet fighters back in 1952. With 100,000 plus visitors a year, this is a must see attraction for the airplane-enthusiast.